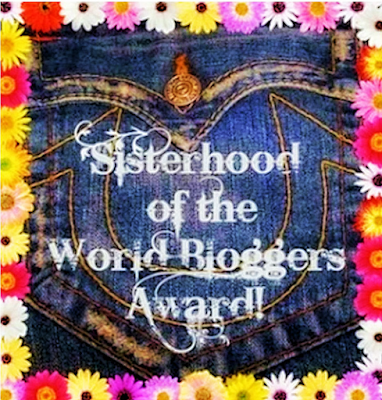 I was nominated by the big sister in my head, Nerline of ChicFromHair2Toe to receive the ‘Sisterhood of the World Bloggers Award’. This post is long overdue – it escaped my mind. I apologize sis. Thank you muchas muchas – Love you like fat boy love cake! Lol! 1- What fashion or beauty item do you spend more money on? 2- What do you like most about blogging? Blogging helps me relieve stress, meeting new people, reading different posts, inspiration and I’ve learnt a lot through blogging. 3- Do you follow fashion trends? Ain’t nobody got time for that! Lol. But seriously why follow trends when its the same trends that keeps circulating. What is on trend now, was a trend in the 50s, 60s, 70s, etc. 4- Where do you find inspirations for your blog posts? 5- Have you bought an Item or tried a new recipe because another blogger recommended it? Yes! I bought a hair product a blogger reviewed about. – Tried my hands on a deep conditioner you recommended (thanks). – Tried some smoothie recipes and bought two ensemble I saw some bloggers had on. 7- Who is your favorite fashion designer? 8- What’s your skin care routine? Skin care routine? Ha! Is there any skin care routine aside bathing and pomading yourself? Lol! 9- Prints or solid colors? My Nominees? I’ll break the rules here and pass the torch to all my Beautiful Followers. My questions? Breaking the rules again, use my sister’s questions. Dear Bloggers that I follow, Bloggers who follow me and All Visitors – I do appreciate your contributions/visits.